In this post you’ll find the different types of relationships you will be expected to recognize along with helpful places to find MAT vocabulary lists! Begin by practicing analogies. Beside each question write what type of relationship you believe the words have. Once you become confident in the different types of relationships you are looking for it becomes much easier to determine the correct answer. This is especially true when two terms seem to have no obvious connection. Though there is no relation in the words’ meanings, you can rearrange the letters in ‘emit’ to spell ‘time.’ Therefore, the answer must be d, as the letters in ‘rope’ can be rearranged to spell ‘pore.’ When you can quickly recognize each analogy type it will be much easier to choose the correct answer. You can find examples of each type of analogy here. MAT Vocabulary list can help to focus your study. Divide the list up into sections of 20 words at a time. Master those 20 words and then move on. This can make the process of conquering a list more manageable. Here you can find some excellent MAT vocabulary lists to choose from! Don’t forget that vocabulary doesn’t only need to come from lists! Daily reading, listening podcasts, and watching television can all provide exposure to new and useful words. Be on the look out everyday for unfamiliar words you come across! Martine loves making life easier for Magoosh Students! 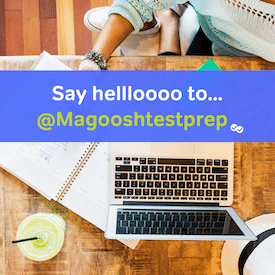 She taught Test Prep Courses for five years and thoroughly enjoyed helping her students demystify standardized testing and application processes. A Catholic University of America graduate with a B.A. in Media Studies, Martine went on to pursue a certificate in Clinical Nutrition and Holistic Health. She has a never-ending sense of adventure which has led her on treks through northern Thailand, explorations of natural thermal pools in Spain, and overnight safaris in the Thar Desert. When she is not traveling, she loves to read, cook, and attend concerts.